Have you got yourself a piece of the investment pie? 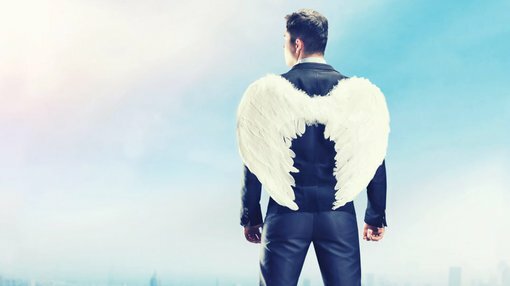 In Australia, billions of dollars are invested in businesses each year from Angel Investors, Venture Capitalists, Personal Investors and more*, so what can your business do to attract the right investors, and ensure future growth with valuable business expertise without having the public humiliation of appearing on Shark Tank? Company director, business coach and author, Simone Milasas, shares her tips for getting in on the investor action, with her top tip being that you need to back yourself! Be clear on what you plan to achieve. What are you going to deliver and in what time frame? It is essential to be open to new possibilities showing up. A good leader will always know where they are heading and will listen to other people and be open to ideas to create different results and a greater outcome. Be willing to receive possibilities from places you never perceived possible. It’s amazing, if you’re actually willing to receive, where things can show up. At one stage I was $187,000 in debt and locked in a mindset where I kept ending up back in debt. It wasn’t until I changed my relationship with money and became comfortable with wealth, that money began to show up in weird and wonderful ways. Just because you’re receiving investment, just because people are investing in you or your idea doesn’t mean that you have to stop having fun. What if this could actually create more fun in your life? What if the purpose of life and the purpose of business was, to have fun? Are you? Joy creates money, not the other way around! Enlist the help of a business expert for business plans and projections. Most of the time when you do it, you’ll end up writing out every detail of your whole business. Outsourcing to experts will help you put your best foot forward. Is there risk? Absolutely. Every single investment is a risk. If it wasn’t a risk, everyone would do it, and everyone would be would be walking around with loads of money. Legal advice is a must. I usually request a one-page summary of everything that is required legally, and even bold that it is a risk investment.